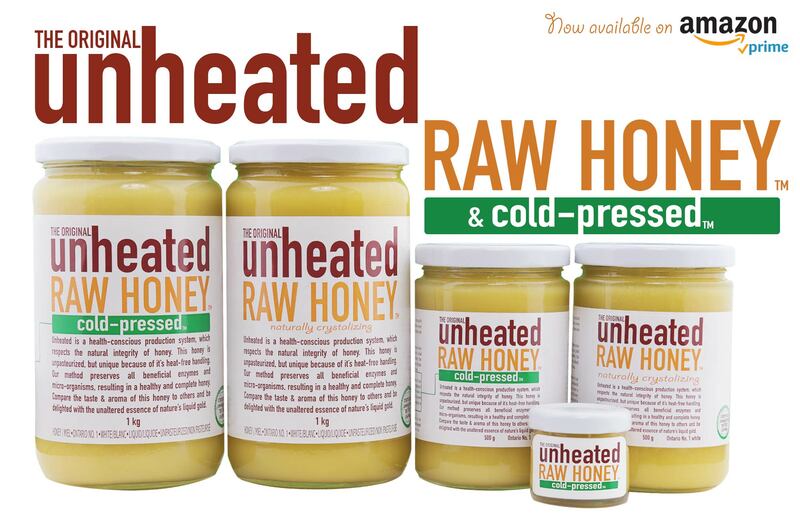 Chances are, you’ve heard that “raw” or “unpasteurized” honey is a healthier alternative to the mass-produced and pasteurized honey that’s so readily available at big-chain supermarkets. Pasteurization is a heat-treatment that keeps honey in it’s liquid form for longer, but also nullifies the taste, the aroma, and the enzymes that are responsible for honey’s antibacterial qualities. But few, apart from industry insiders, know that even honey labeled as “raw” and “unpasteurized” is still heated to some extent during the extraction or bottling process. Heat is used to liquefy the honey and reduce viscosity to facilitate production and packaging. We have discovered that the pinnacle of honey quality can only be achieved with a totally heat-free production process designed to preserve honey in its absolute natural state. Our apiary has developed a unique honey extraction system which eliminates the need for heat entirely. Our classic line of honey is spun out in a heat-free centrifuge and our cold-pressed variety is squeezed out of the combs by mechanical force. Cold-pressing is a newer extraction technique which results in a higher pollen count and a higher level of natural antioxidants. Where a traditional apiary would use heat to liquefy honey for bottling, we use a cold-bottling process to ensure a uniform texture throughout the jar that doesn’t harden over time (yes, even at the bottom!). Compare the taste and aroma of our honey to others and be delighted with the unaltered essence of nature’s liquid gold.